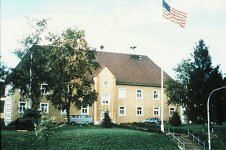 Vilseck, a major training center, has been described as the "school house" for the US Army, Europe. Transition training and fielding of new equipment is its most visible mission. It is located about 30 miles west of the Czech Republic border and 50 miles northeast of Nuernberg. 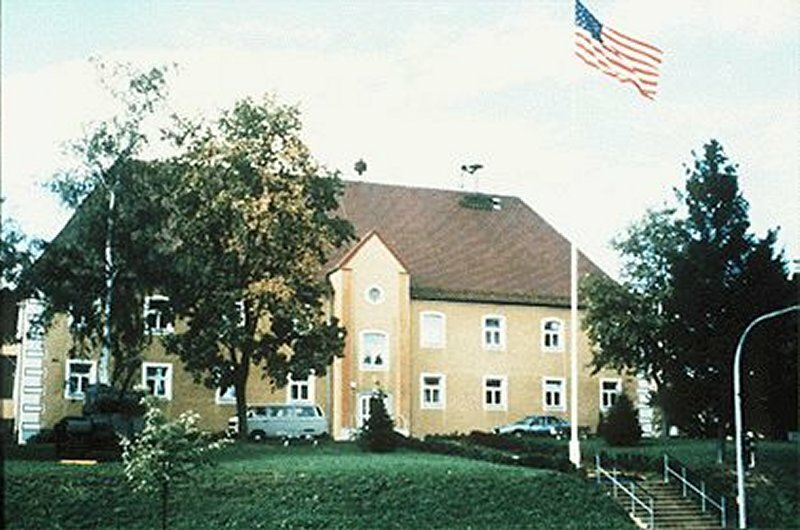 The 409th Base Support Battalion (BSB) is stationed on Rose Barracks at Vilseck, one of the most charming military installations in Germany. This is a quiet, but friendly community of people helping people. Vilseck is located in the state of Bavaria (Bayern) approximately 60 miles from Nuernberg, 29 miles from Weiden and 25 miles from Amberg. The 409th BSB was selected as a USAREUR Army Community of Excellence (ACOE) Runner-up in 1998 and an ACOE Finalist in 1999. Past awards include: 1993 ACOE Medium OCONUS Award; 1996 ACOE Large OCONUS Runner-up; 1997 USAREUR ACOE Winner. From 1992-1994, the 409th BSB won three Focus Awards and a Natural Resources Conservation Award. Maintenance Activity Vilseck (MAV) provides direct support maintenance to 7th Army Training Command and conducts required DS/GS maintenance repair of Class VII end items and IX components in support of the Theater General Support Maintenance Program. Additionally, MAV maintains an M60/M113 Cannibalization Point and provides backup DS support for 3rd BDE, 1st Infantry Division and units rotating through the Grafenwoehr and Hohenfels training areas for gunnery and maneuver exercises. Vilseck is one of the most charming military installations in Germany. This is a quiet, but friendly community of people helping people. Vilseck is located in the state of Bavaria (Bayern) approximately 60 miles from Nuernberg, 29 miles from Weiden and 25 miles from Amberg. Families assigned to Vilseck enjoy this peaceful, rural farming community of gently sloping hills and meadows, surrounded by small villages built on lands cleared hundreds of years ago. The area abounds with many lakes suitable for great fishing. Berchtesgaden and Garmisch, only a few hours away, offer a variety of summer and winter sports activities. Vilseck is located in the state of Bavaria (Bayern) in the Oberpfalz region. It is a small rural community with a population of about 8,000. Vilseck derived its name from the once alone standing fortress (Burg) Dagestein on the Vils river. This castle is probably one of the oldest in the whole Oberpfalz. Today Vilseck has a train station and bus connections to nearby cities. Restaurants include 1 Chinese, 3 Greek, 3 Italian and 15 German eating establishments. Shopping is available at 3 grocery stores, 3 bakeries, 5 butcher, 1 hardware store, 2 flower stores, an office supply store, 2 souvenir shops with household ware, 3 shoe stores, 3 beauty/barber shops and 2 cosmotolegists. A German post office, 4 banks and two night clubs are also available. Shopping hours are Monday through Friday from 0800 to 1200hrs and from 1400hrs to 1800hrs. On Saturdays stores are open from 0800 to 1200hrs.